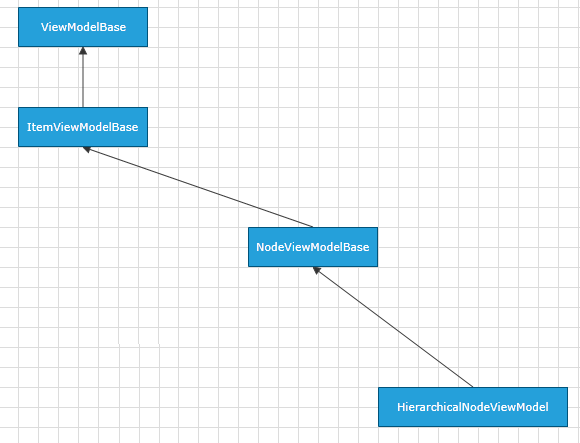 This article describes the HierarchicalNodeViewModel defined in the Diagramming Extensions. HierarchicalNodeViewModel is a ViewModel designed to serve as a base ViewModel for hierarchical RadDiagramShapes in a data-bound RadDiagram. The class is defined to expose properties that allow you to track and save the children of a hierarchical shape. It derives from the NodeViewModelBase class. HierarchicalNodeViewModel has a single constructor - HierarchicalNodeViewModel() that initializes a new instance of the class. Children Gets or sets an ObservableCollection of HierarchicalNodeViewModel items that represent the children of the current node. HasChildren Gets a Boolean value indicating whether a HierarchicalNodeViewModel item has any children.